The savvy psychic operative Lyrissa is a Major-General in the secretive Psy Ops program who is working to ensure the safety of the Americas. When an attempt has been made on the Queen’s life she must go to the Palace in New Montréal to meet with QET Jenkins her uncle and find out why. 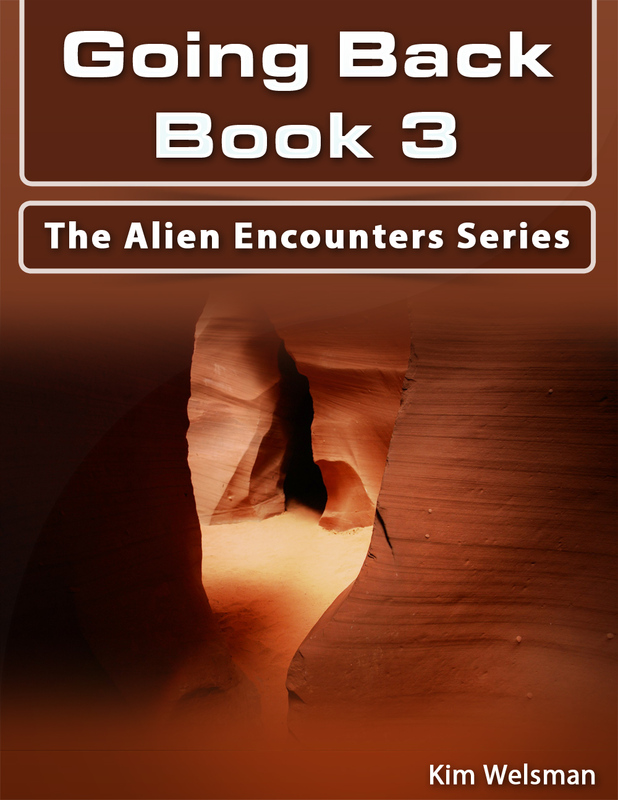 Now, Lyrissa is faced with questions from her past. Assisted by her uncle she will find the saboteurs and help prevent fourth world war catastrophy! 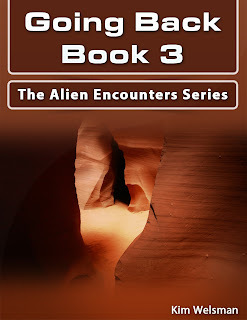 Another great book from Kim Welsman, Going Back is the third installment in The Alien Encounters Series and features action and suspense as well as science fiction. As I've stated, I'm not normally a fan of sci-fi, but really do enjoy Kim's work. She creates well-developed characters and builds more and more onto the story without the series losing anything. In other words, this isn't a series that is meant to bring in more money when one book would do. 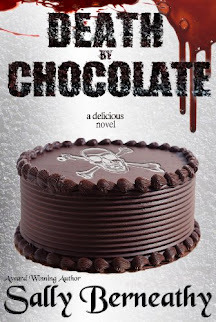 Kim has created a series that gets stronger and more enjoyable with each installment.